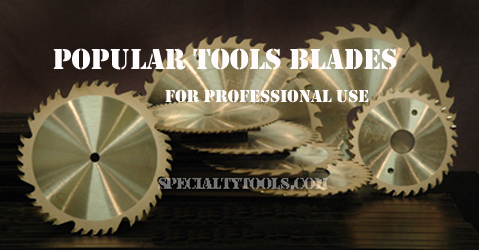 These saw blades have 3 right and 3 left (all have 3 1/8" bolt circle, except 22" which has 5" bolt circle) pinhole patterns to match Clary truss machines made by Alpine. They are manufactured with a thicker plate to cut smooth and straight. ATB Alternate Top Bevel. This is the most popular, saw design, and with good reason. It is excellent for cutting operations with or against the grain, acheiving a high level of quality over a high range of cuts. Top beveled sever the material with a shearing action. Teeth alternate left and right top bevel. TCG - Triple Chip Grind. Alternating triple-edge and flat top for dual action cutting. Triple-edge teeth chip down the center of the kerf, flat top raker teeth follow to clean out the material from both sides, extremly resistant to wear and fracture when cutting hard or abrasive material.